White Burgundy still ranks high among the wine world’s famed grape varieties, and the benchmark styles from its namesake terroir remain a gold standard. We’re of course referencing Chardonnay. It’s also done very well in California, where climate and drinking taste converged in the 20th century, providing a cornerstone for a young wine industry to develop. The widespread popularity of particular wine styles is subject to cycles. A rapid rise for Chardonnay as a staple table wine in North America was followed by a degree of consumer fatigue—expressed in a somewhat derisive and unfortunate acronym: ABC (‘anything but Chardonnay’). Within the broad range of finishing styles that includes sparkling and still wines, the world’s most planted white wine grape is enduring and defying fickle fashion. Finished Chardonnay is a definitive winemaker’s wine in that the characteristics commonly associated with it: highly aromatic, a buttery mouthfeel, tropical or stone fruit flavours, notes of vanilla, etc.—are all methodically coaxed results from a relatively neutral grape. From time to time, the experimentation has translated into an individual characteristic overshadowing others. As Chardonnay is one rare example of a white wine being suitable for barrel ageing, overly oaked versions of less-select grape harvests contributed to the decline in reputation and desirability for more discerning drinkers. With the development of the grape in other cooler climate vineyards, fresh and vibrant expressions of Chardonnay are more common again, and arguably, more faithful to the originating style from Burgundy. The DéClassé recommended G. Marquis The Silver Line Chardonnay 2016, is a balanced reinterpretation—from the skilled winemakers in Canada’s Niagara Escarpment region. Exclusively providing the fruit for this week’s selection, the Stone Road Vineyard is a 25-acre parcel that’s bordered by the climate tempering influence of Lake Ontario—one of the world’s largest freshwater bodies. Inland of the shoreline, deposits of loose sandy-loam soil promote vigorous growth of Cabernet Sauvignon, Pinot Noir, and Chardonnay grapes, while the microclimate conditions allow these varieties a sufficiently long growing season. 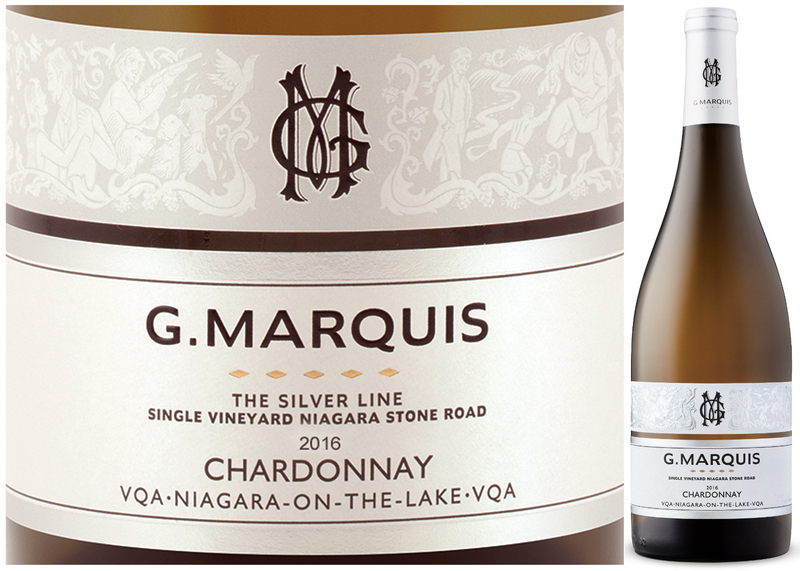 G. Marquis is the premium brand line offered by the Magnotta Winery, and it’s now available in greater stock levels at the LCBO in the Vintages section. The personal care of hand-picking, sorting and six months of ageing in French-American hybrid oak casks is self-evident, so if you’re uncertain of where Niagara wines are in their quality evolution at this price-point, this noteworthy example speaks volumes! This soft, dry white wine falls into the mid-weight category of barrel-fermented Chardonnay with spice and herb-accented flavours of baked apple, melon, and ripe pear. Try serving alongside roasted or grilled pork loin, chicken, salmon steaks or pasta dishes and cream sauces. With a specific focus on characterful and overachieving wine in the $15 to $18 price-point range, DéClassé aims to expand the readers' taste and curiosity about a diversity of wine styles--while exploring the winemakers in a cultural and historical context. Thank you for visiting the site!